With a busy life on the go and so much to do, the last thing you want is to spend extra time waiting for your files to transfer. 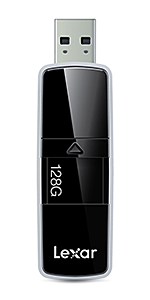 The drive delivers speeds up to 150MB/s read and 60MB/s write. 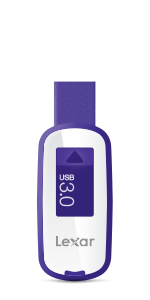 ** You can quickly transfer a 3GB HD movie clip in less than 1 minute, compared to the 4 minutes it takes using a standard USB 2.0 drive. 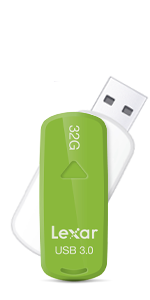 *** And for added versatility, the drive is backwards compatible with USB 2.0 devices. Looking to protect personal information, financial records, or other sensitive files on the go? 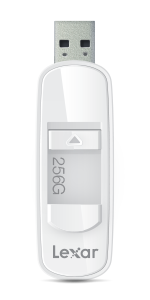 JumpDrive S75 includes EncryptStick Lite software, an advanced security solution with 256-bit AES encryption to help protect your essential files against corruption, loss, and deletion. Easily create a password-protected vault that automatically encrypts data. And for peace of mind, files that are deleted from the vault are securely erased and can’t be recovered. 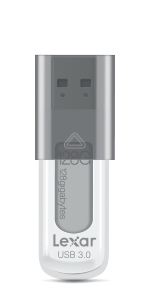 Beyond its performance and good looks, JumpDrive S75 is designed for convenience. It sports a retractable connector with easy-to-use thumb slide, and also includes a key ring loop so you can easily attach it to your keychain, computer bag, backpack, or purse. 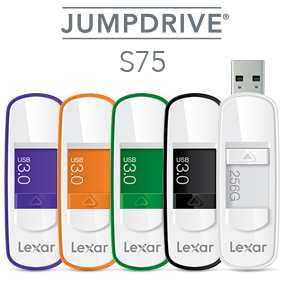 Lexar JumpDrive S75 comes in a range of colorful capacity options—۱۶GB in purple, 32GB in orange, 64GB in green, 128GB in black, and 256GB in white. These stylish options make it fun and easy to find one to suit your needs and reflect your personality. 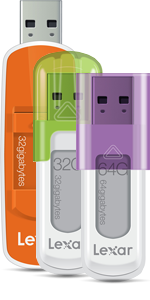 They also provide you with a built-in color coding system to help you organize your drives and their contents. 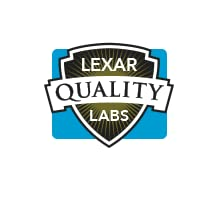 All Lexar memory card, card reader, storage drive, and USB flash drive product designs undergo extensive testing in the Lexar Quality Labs, facilities with more than 1,100 digital devices, to ensure performance, quality, compatibility, and reliability. This provides customers with a high level of confidence when using Lexar products to capture, manage, move, and store the memories that matter. *۲۵۶GB capacity not available in all regions. **Maximum read transfer, write speeds lower. Speeds based on internal testing. Actual performance may vary. ***Based on 64GB capacity. 3.2GB video, HD 1080p@30fps (46 Mbps) video. ****Based on 64GB capacity. 12 megapixel photo. *****۱۰۸۰p full-HD video at 30fps (46 Mbps). ******۱۰۸۰p full-HD video at 24fps (18 Mbps). Security safeguards, by their nature, are capable of circumvention. Lexar does not guarantee data will be 100% secure from unauthorized access, alteration, or destruction. 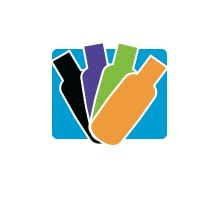 Some of the listed storage capacity is used for formatting and other purposes and is not available for data storage. 1GB equals 1 billion bytes.